Register now for the 17th Annual French Creek Iron Tour! 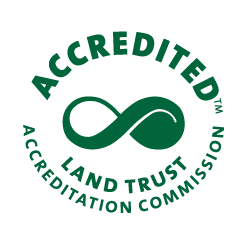 Known as one of the region’s most beautiful bike rides, with well-stocked rest stops and the best volunteers, this scenic bicycle tour takes riders through the preserved lands in the French and Pickering Creeks watersheds. With eight choices, there is a course for everyone – from 11 miles to a challenging century. Our newest course is a 70-mile Gravel Grinder, a leg burning, chest pounding ride for experienced riders. There are other exciting new additions this year! Chester County blues band Voodoo DeVille will perform toe-tapping music during lunchtime,playing a wide variety of styles from rockabilly to swing. 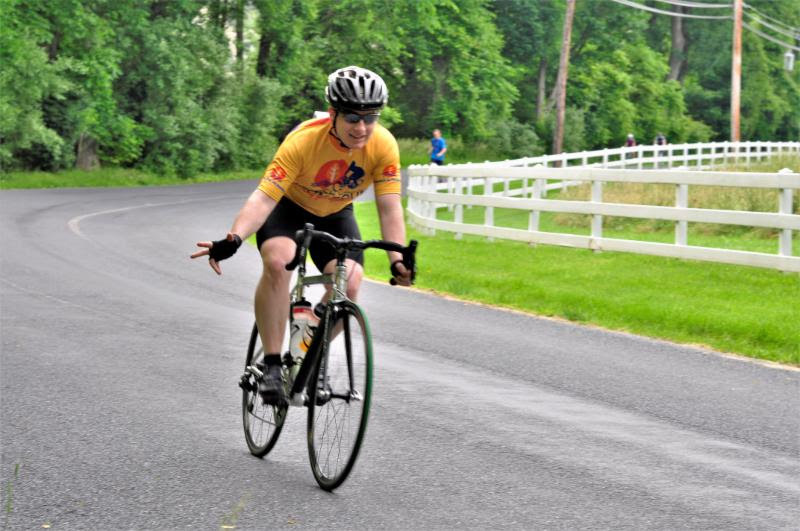 If you’re thirsty after a day of cycling and dancing, our friends at Sly Fox Brewing Company will provide each adult rider with a free cup of Sly Fox SRT (Schuylkill River Trail) beer. 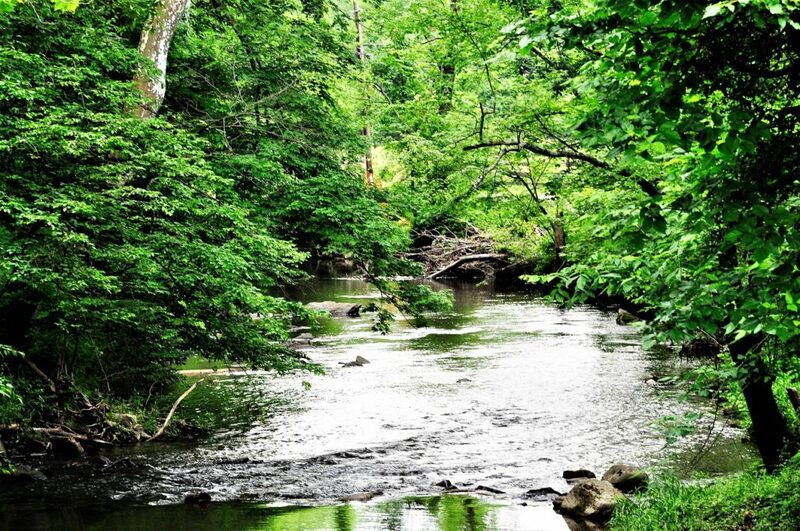 All proceeds from the Iron Tour benefit the mission of French & Pickering Creeks Conservation Trust to preserve, steward, and connect people to the land in northern Chester County. 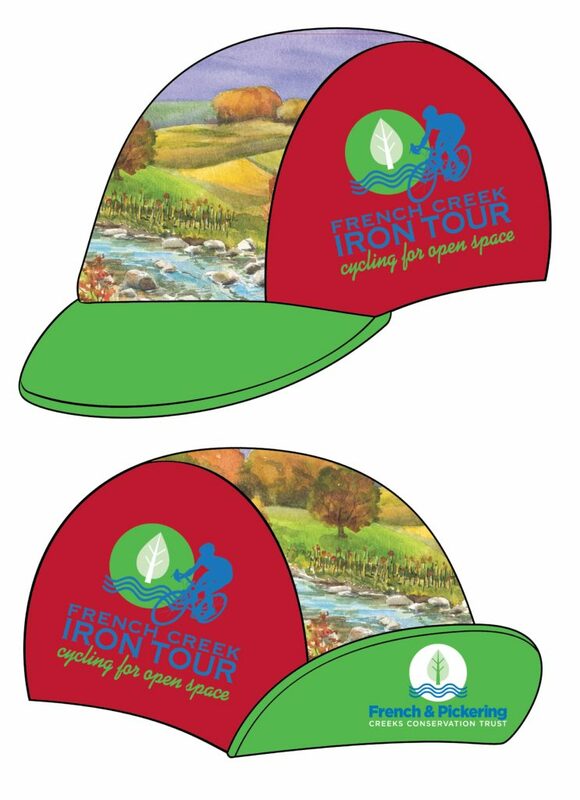 The 17th Annual French Creek Iron Tour jersey depicts an original painting by local artist Deb Kuhn. This artwork features the stone bridge that crosses the Exceptional Value South Branch of the French Creek, a designation given to only the most pristine waters of Pennsylvania. 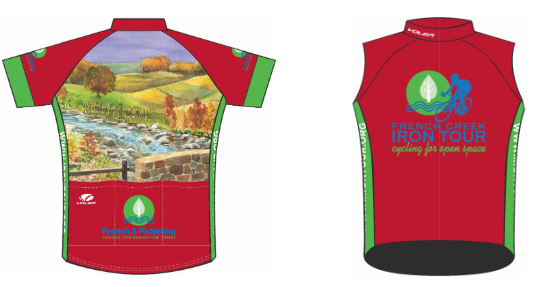 This jersey design highlights the important work of French & Pickering in protecting open space and clean water. Riders on the longer rides will view the scenic valley, now preserved forever by French & Pickering, as they approach Warwick Furnace. are also available for purchase!